Even if you are entirely in Revit, you can never truly leave AutoCAD behind. With surveys and civil still in AutoCAD, it is important to maintain certain workflows so that you can share your landscape seamlessly. The world in Revit is entirely different than AutoCAD. It doesn’t like your project/project base point to be larger/outside 20 miles. Unlike in AutoCAD, your project should never be way off in space from the project base point (origin) [You can still do it, but Revit will warn you of errors, and certain things like hatch patterns will misbehave, so I wouldn’t recommend it]. 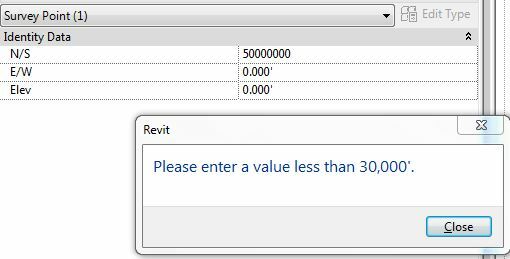 Revit has two moveable points that control coordinates: project base point and survey point (both subcategories under Site). The project base point doesn’t matter much, just make sure it is somewhere within your project boundaries. The survey point is key; it has northing, easting, and elevation data that you can set, relating it back to the real world, and thus AutoCAD. First, you need to have your survey/base file linked in (if you’re an architect doing this, you should be in your site file). Then determine what point on the survey has adequate data to be a benchmark (it needs northing, easting, and elevation). Update: I now recommended using a slightly different method, Specify Coordinates at Point. Though, you can still continue with this post and method. While this may seem backwards, first enter the data into the survey point and then move the survey point to the correct location (so don’t move the survey point, yet). To enter the correct data into the survey point (turn it on, if it’s off, and then) select it and unclip it. Then enter the correct northing point (I find it’s easiest to copy/paste). This must be done in the view (not in the properties browser, otherwise you will get the following error). Just another example of how Autodesk has sadly neglected the site tools. Now that it is unclipped, the survey point will jump to its correct location when you enter both northing and easting (use ZE to find it). After changing the elevation, clip it back down. Then move it back to the correct location on the survey. Since you are off in space somewhere it is a good idea to turn the project base point on before going to move the survey point. I would also recommend pinning it down once you’re done. Finally, the last thing you need to do is change your export settings. Under the Units & Coordinates tab you need to change the coordinate system basis to be Shared (Shared Coordinates are based around the Survey Point). 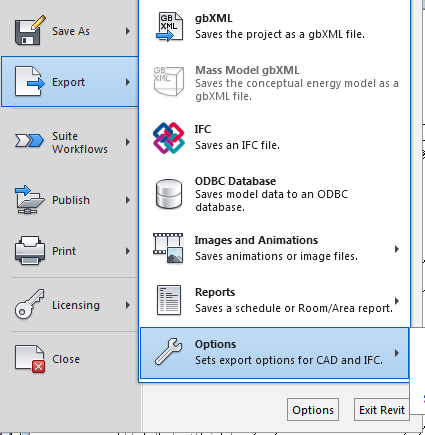 Now when you export to DWG your file will be correctly located in the AutoCAD world.